Pomo: Ground floor apartment of 50 sqm. It consists of 2 double bedrooms, kitchen (oven, fridge, toaster, kettle) and 2 bathrooms with shower. At guests' disposal: TV (in the bedrooms), Wi-Fi, hairdryer, fan and mosquito nets. Air conditioning in the bed rooms. The price includes gas, water, electricity, air conditioning. Internet Wi-Fi, satellite TV, bed linen, towels, final cleaning included. Pets Allowed. Not included and to be paid on the spot: Refundable damage deposit € 150, heating according to consumption € 2,40 / mc, tourist tax € 0,50 / person max 3 days, under 12 years free. 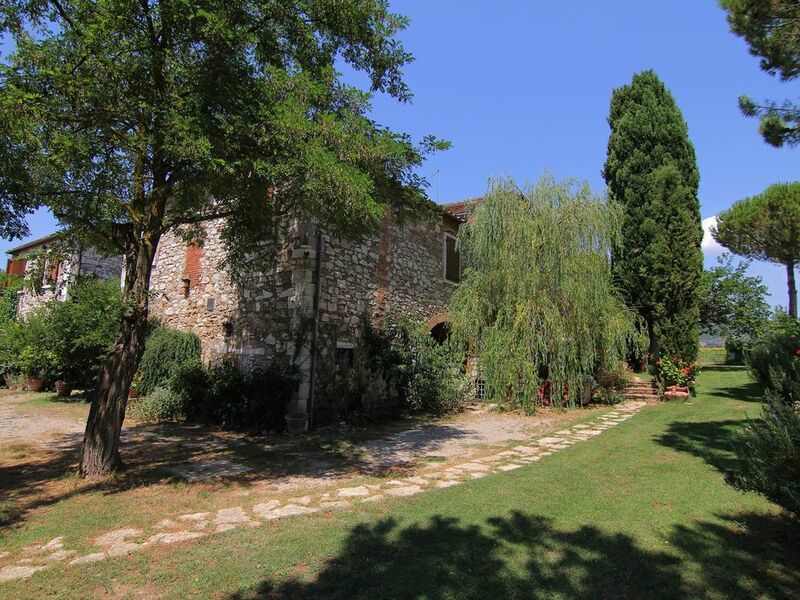 The farmhouse is located in one of the most beautiful landscapes of Tuscany, the Crete Senesi; It has been renovated and now offers 6 comfortable apartments. It is a place with a magical atmosphere and its origins date back to Etruscan times; in the Middle Ages it was used as a flour mill. In a quiet location, surrounded by a beautiful landscape rich in olive trees, the farm produces vegetables, fruits, olive oil, all organically grown, as well as delicious truffles. Guests can discover the colors and flavors of Crete Senesi during their stay, as well as taste good wines and olive oil, or Cooking classes, and cycling excursions under the guidance of Alessandro. At guests disposal is a swimming pool (12x6 m, open from mid-May), a children's playground, barbecue, washing machine, and Internet Wi-Fi. The resort is located between Asciano (4km) and Rapolano Terme (6km), two stunning medieval villages of the Crete Senesi area. Rapolano is also known for its spa. Recommended excursions: Siena, Pienza, Montepulciano, Montalcino and Monticchiello, all about 35 km away. Nearest shops and restaurants in Serre, 2.2 km. Accommodations: 6 comfortable, typical Tuscan-style apartments. All with Internet Wi-Fi connection and private terrace or Seating area to enjoy meals al fresco.